Warm the chili per package instructions. 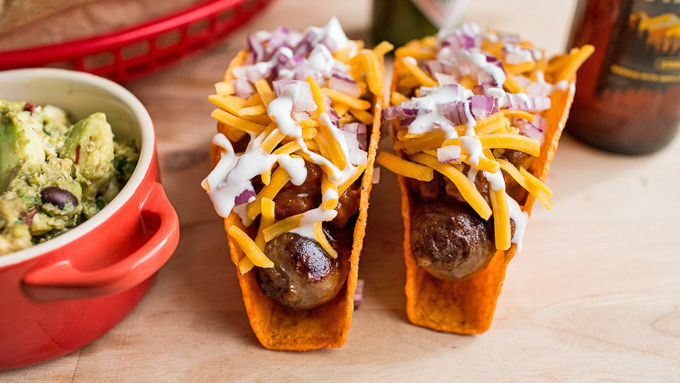 While the chili is warming, prepare the Old El Paso™ Bold Nacho Cheese-Flavored Taco Shells and grill the hot dogs. Once the chili is warmed and hot dogs are cooked, it’s time to assemble. Place a hot dog inside each taco shell. Top with equal amounts chili, cheddar cheese and diced red onion. Serve with guacamole if desired. Enjoy! This recipe is a good way to use up leftover chili, too! 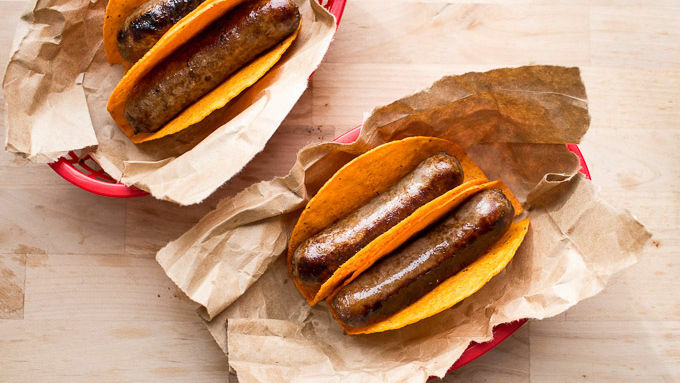 Instead of hot dogs, try using brats for a fun switch up. 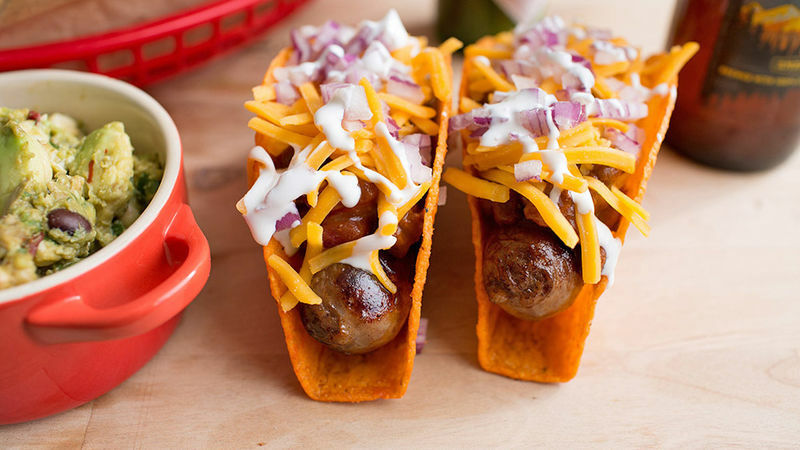 Chili and hot dogs served on crisply, kicky taco shells. Yes, please! Today I am back with some serious deliciousness! Everyone knows about chili cheese dogs – classic summer boardwalk dogs, street vendor must-haves, and All-American baseball favorites. Yeah well, I took all the flavors from a cheesy chili dog but served it taco-style. Yes, a taco! But this isn't just any taco. NOPE. You see, I used two secret ingredients that make these Cheesy Chili-Dog Tacos really shine. The first is Progresso™ Pork & Beef Chili with Beans. Not only is this super convenient, but it’s also packed full of everything we love about chili. The flavors and textures are spot on. Okay, and for the second ingredient? Old El Paso™ Bold Nacho Cheese Stand 'N Stuff™ Taco Shells... I mean, come on. These are just insane. Love the flavor and texture these shells add to the tacos. Delish! Serve 'em up and chow down! No boardwalk or baseball game needed.